Every generation, a phrase enters the American consciousness and interrupts collective action like a boulder changing the course of a stream. In the 1960s, the phrase was civil rights; in the 1980s, it was self-esteem; now our word is empathy. Like the terms that came before it, empathy sounds redemptive ​— ​it’s an orientation that, should we adopt it en masse, could extricate us from our violence and our greed. But it’s also a term so varied in meaning and slippery in application, it can have ambiguous, even deleterious, effects. Empathy, when applied artfully and in the right contexts, can be highly moral and deeply liberating ​— ​but it’s not an empty gesture to be spread atop every interaction in this new and troubled millennium. We have to understand both its purpose and practice, and this book is an attempt to do just that. One example that can stand in for many: In the aftermath of the 2016 election, empathy has been weaponized. On one side, progressives argue that an empathy deficit, in part, is to blame for how the election blindsided them; when they thought Hillary Clinton was a shoo-in, a paucity of imagination kept them from truly seeing the swath of voters that could choose Donald Trump. Now many on the left feel they need to deploy empathy, in a gesture of unity and understanding that was so clearly missing in 2016. On the other side, voices have erupted in a chorus against empathy for Trump supporters: Trump is a bigot, they cry, and if he (and they) can’t have empathy for us, why should we have empathy for them? But I have learned in writing this book that empathy is not one singular thing. It can, when it’s contextualized the way it is above, serve as a way to be meek and deferential, or as a tool to withhold from political enemies, but it can also be instead an immediate gesture of common humanity. It can be innate, elemental, as difficult to stanch as love. Other times, empathy operates as a kind of karmic loop: empathy for the one affects the whole and vice versa. So what are we talking about when we talk about empathy? Mark Zuckerberg may hope his 1.5 billion monthly users feel like they’re feeling more ​— ​but the richer our experience, the richer Facebook becomes. Online, we are both the consumer and the product, as Facebook earns $5.84 billion a quarter selling our demographics and our likes. In these days of DVR and streaming, corporations can no longer rely on the mass-market commercial to reach an audience; instead they count on courting us individually online. When we buy dog food one day and find a charticle from Purina in our newsfeed the next, we no longer find it strange ​— ​we know our electronic DNA is scattered on every screen we touch to be gathered and sold to marketers. Some may find this comforting, and some may call it surveillance, but what’s interesting is what the corporations call it: empathy. This corporate definition of empathy connotes getting to know and understand a consumer base ​— ​our tastes, our spending habits, our personal needs ​— ​to sell us more stuff. “Empathic design” is another burgeoning field, wherein marketers and designers work with people to identify latent needs and feelings about certain products and then, from that information, build new things to sell them. You could argue that the corporate world’s commodification of empathy is simply the bastardization of a term, but I’d argue that something deeper is afoot. Capitalism is milking the trend of all things empathy, but it’s also building a culture that perverts our very understanding of the concept. In other words, as we expect our watches, our phones, our computers, to provide us with experiences curated solely for us, we feel empathized with in a particular way, which has led consumers to need a particular kind of empathy. Through our everyday interactions with commerce, we attune to a cultural value shift that marks empathy as acquisitional and profitable. 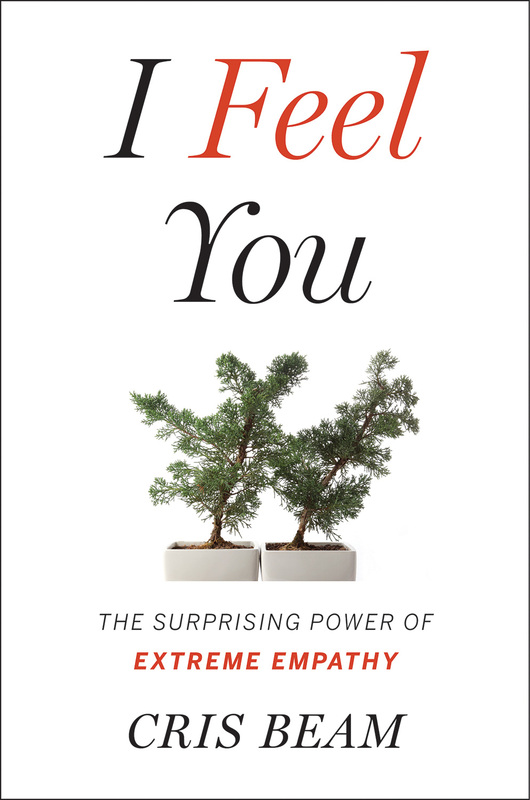 Excerpted from I FEEL YOU: The Surprising Power of Extreme Empathy by Cris Beam. Copyright © 2018 by Cris Beam. Used by permission of Houghton Mifflin Harcourt Publishing Company. All rights reserved. CRIS BEAM is the author of the new book, I Feel You: The Surprising Power of Extreme Empathy, as well as several award-winning books, including To the End of June: The Intimate Life of American Foster Care and Transparent: Love, Family, and Living the T with Transgender Teenagers. She is an assistant professor at William Paterson University and lives in New York City.